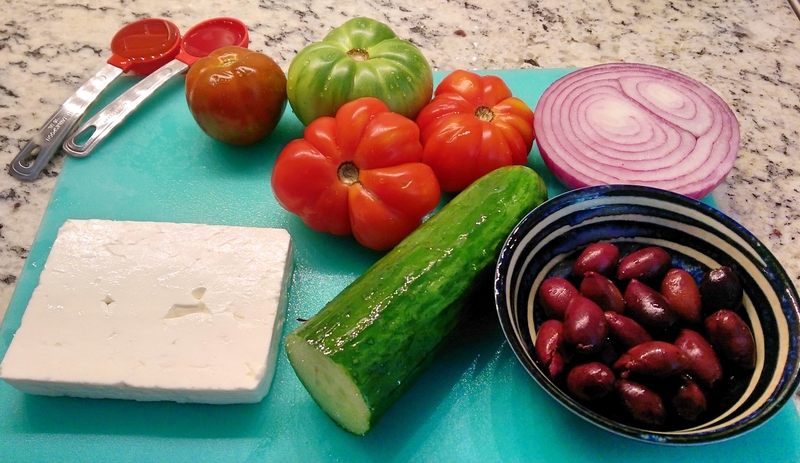 Since living in the US, I’ve been amazed to see that in super markets and restaurants, the oddest leafy concoctions dusted with a mysterious powdery ingredient called crumbled Feta and mixed with all sorts of odd things are regularly passed off as a Greek Salad. These salads are a long way from the original version served on the Olive tree studded Greek Isles, by the azure foam dusted Mediterranean! 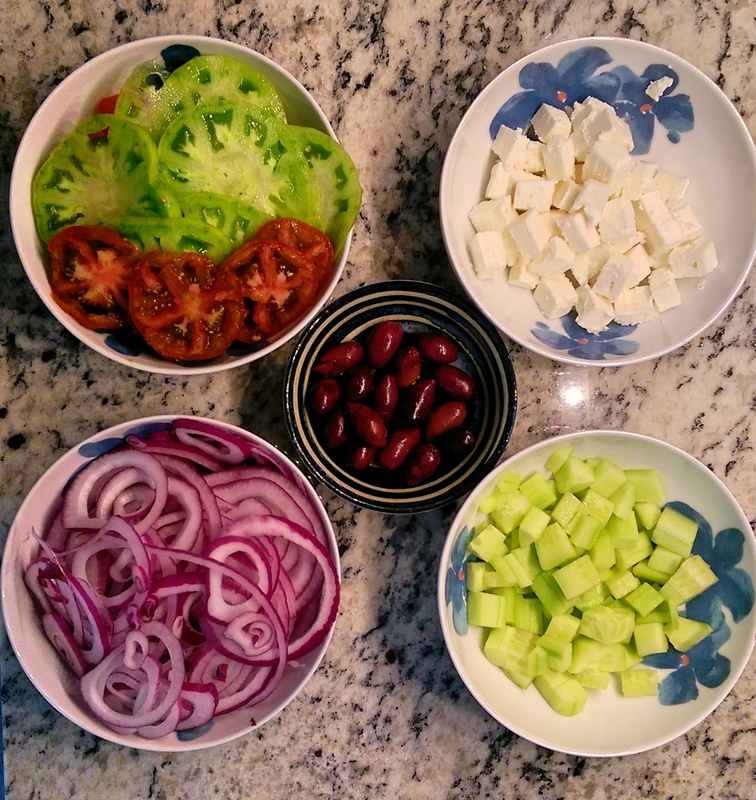 A salad fit for Olympus! Wonderful recipe. I could eat like this every day.